When searching for the perfect eyeshadow, we know what to look for: a layerable, pigmented, long-wearing, and blendable formula. But with glitter pigments, it's an entirely different story because they're not the same as regular eyeshadows—they're used differently, too! 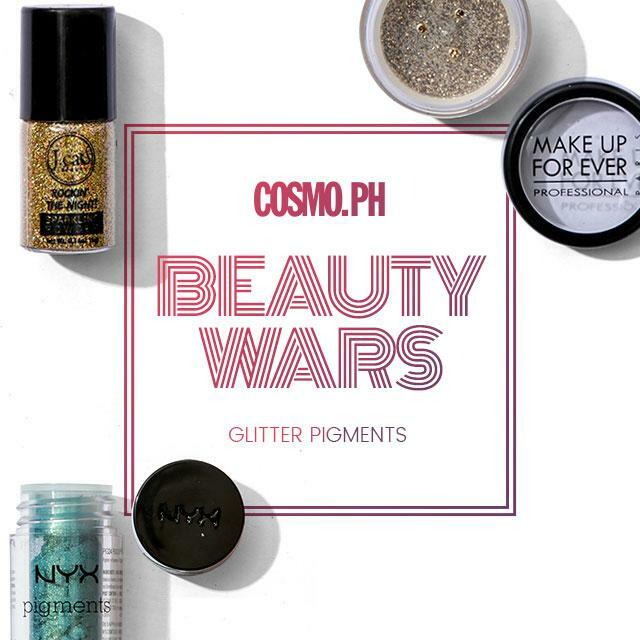 For today's edition of Cosmo.ph Beauty Wars, we're helping you find the glitter pigment of your dreams by reviewing three affordable ones. 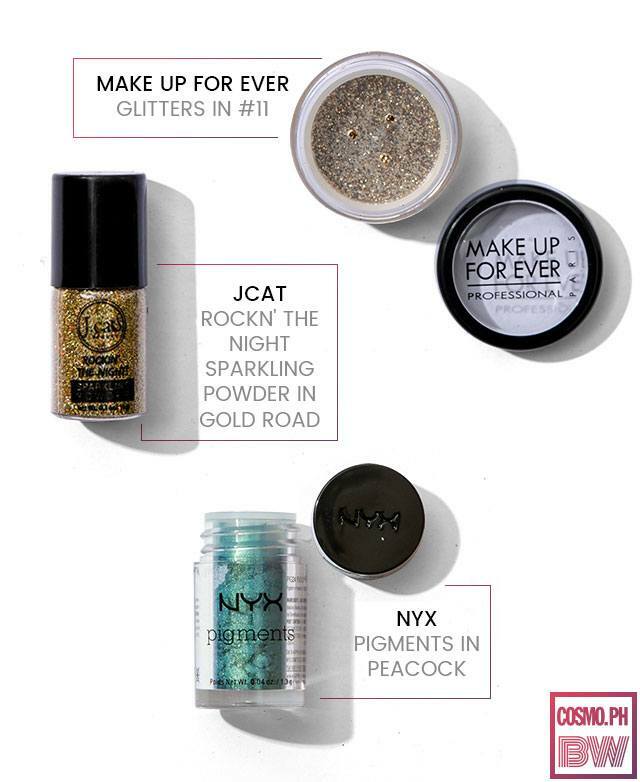 What It Is: Hypoallergenic and lead-free, these high-shine glitters are easy to use and can create effortless looks in an instant! Why We Love It: Because of its price tag and wide range of colors, this got two thumbs up from us! However, when we used it, we had to be *extra* careful because the glitters were so chunky that they went everywhere, including our lashes. What It Is: A saturated and sparkle-packed blue pigment with blue-green shimmer that can create a spectrum of captivating eye looks. Why We Love It: We thought there must have been some mistake when we first wore this because there wasn't a speck of glitter in it. But upon closer inspection, we realized it was so ~fine~ that it actually left an elegant sheen on our eyelids. Bonus points for fading beautifully, too! For its price, the amount of product you get, and the pigment's formula? We'll be getting more shades soon. What It Is: This makeup-artist approved glitter can be used to glam up any makeup look and leave an elegant sparkling veil all over the face, body, and hair! Why We Love It: Yup, this can glam up any look and turn it into a New Year's Eve-ready MOTD—its metallic shine is always #onpoint. The only part we didn't like was the glitter went all over our face as the day went on. But that could have just been because of our eyeshadow primer!